Scaling from one computer repair service center at Schrock Innovations to two was a logistical challenge, but for the most part it involved duplicating systems we already had in place. Now that Schrock is adding a third Service Center in Papillion, NE we are finding that simply doing what has worked in the past will not quite cut it this time. Schrock Innovations maintains a customer service edge by leveraging advanced technologies that are designed to help us solve our customers’ problems. For many of these technology solutions we have been able to rely on third-party vendors in the past like Huntel, Citrix, Cox, and Rackspace to deliver award-winning service. However as we grow the cost of scaling these technologies increases. We can either pass the cost increase on to our customers as higher prices or try to find a different way of delivering our services that is more efficient. Many of the tools we use to deliver seamless service to our customers through our phone system, the Schrock Desk, our web site hosting services and many future products rely on a data center. A data center is a specially designed room that contains racks of computers that do things for people who are on the Internet accessing them. When you loaded this web page, it came from a data center. Data centers are expensive to operate, so in turn, leasing space in them is also expensive. The cost of a data center is mostly up-front expense for equipment and servers. After that expense the maintenance costs of running the data center are actually less expensive than leasing the services we currently lease. Schrock Innovations is partnering with Future Technologies to deploy a data center in Downtown Omaha, NE in the 1600 Farnam building. The location was a bank at one time, and the bank vaults in the basement provide excellent security possibilities that can be reconfigured to ensure physical server security. 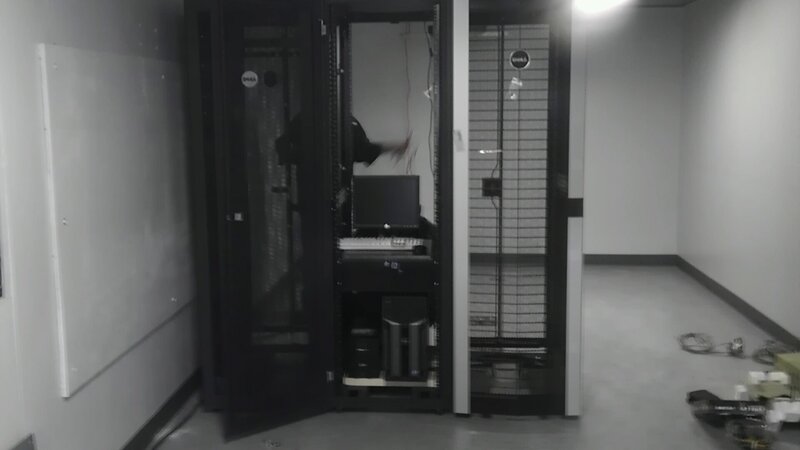 Last week Schrock’s technicians began deploying racks and servers into the data center and we expect it to be online this week. We will be migrating our existing services like the Schrock Desk, Web Hosting, and the Secure Updater this month. The world is becoming a smaller and smaller place every day. While the technologies that are making that happen benefit our every day lives, they also bring cyber criminals MUCH closer to you on a daily basis than you know. One of the concerns that we have at Schrock is the security of our data connections that move through our third party vendors. While we are confident that companies like Rackspace, Citrix, and Carbonite take their data security very seriously, there is really no way for us to know if the data that we send goes through Chinese servers, Russian servers, or stays right here in the US. This is important because any traffic that goes through servers in other countries is not protected by the laws and regulations of the U.S. While for most people this is not a concern, as we add additional services like data backup, corporate remote support, and the Secure Updater, we need to know that our customers’ information is safe beyond a shadow of a doubt. The only way to do that is to operate the infrastructure yourself and that is what we are in the process of doing. Hope the move went well and everything is back in perfect running order for you at the new data center, Thor. You are right, it can definitely be something to worry about no matter how trustworthy the other companies are. It is never reassuring unless you are in charge as much as possible. Congrats on your move to a new data center, Hope the move went well. 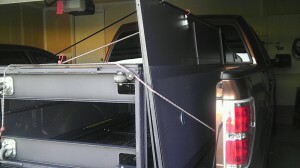 Moving always has its quirks hopefully you didn’t run into many. I am wondering if you had any downtime. I hope the move was fine and safe. It is in best interest that this move will definitely upgrade your infrastructure. Please do share your experience. Cool project, loved the pictures. 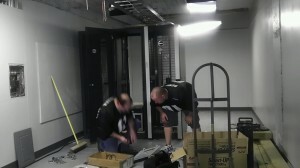 I’m just wondering how wise it is to put the server room in the basement? I understand the vault will provide physical security, but best practice dictates that the lowest point in a building is not ideal for a datacenter because of the risk of flooding. The Data Center is underground, but is not the lowest level in the building. When you wrote that it’s in the underground there was a funny story in my country because one big company has DC in underground and there was a really big fload and they need to quickly turn off all servers and move it upstairs. About 30% of websites in my country was down for a week because of this difficulties.